WORX picks up another great distinction from This Old House magazine. This Old House lists the Worx Ai Drill & Driver to its 2017 Top 100 Best New Home Products list. This is a highly coveted honor and we appreciate the recognition here at Worx. 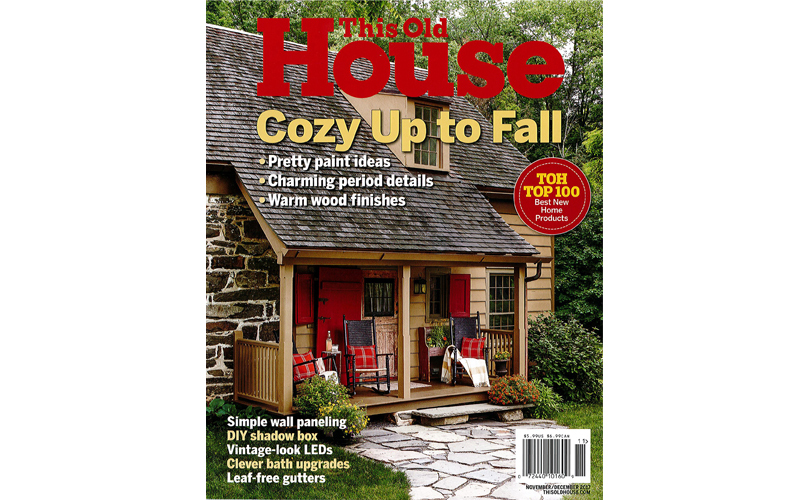 How does a product make it into the TOH Top 100? Besides being introduced in the past year, it’s hard to pinpoint a rule that encompasses the entire list. We’re fans of products that cross off household to-dos, like a washing machine that can tackle two loads at once. Smart DIY solutions, like an easier, faster way to fix cracked concrete, make excellent finds. And some items? Well, they simply make like more enjoyable. Why not cap off bath remodel with a tub that invites you to indulge in a nice, long soak? See the full “Top 100 Best New Home Products of 2017” from This Old House here and learn more about the WORX Ai Drill here.